That’s the message Stacey Philpot and Michelle Reyes Aleti are hoping to convey to their young daughters, and thanks in part to a nonprofit aimed at empowering girls, the Haddonfield duo is now hoping to spread this message beyond their own households. That is what Girls Leadership is all about. The national nonprofit aims to “teach the skills to be brave, resilient and connected, equipping girls to make change in the world.” One of the ways it carries out this mission is by holding age-appropriate four-week workshops targeted at developing social-emotional intelligence skills and teaching authentic self-expression. Two of these workshops are coming to Haddonfield, and Philpot and Aleti are hopeful they will start what they consider a much-needed dialogue right now — how to raise girls to be strong and brave. Last year’s presidential election spurred Philpot and Aleti to work toward change. At first, they just weren’t sure what the change should be. “I was really upset during the course of the election with how people were talking about women. 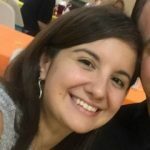 I’m a management psychologist by profession, and I’m also a woman and I’m also a mother, and I was really concerned with the things that were being said,” Philpot explained. Also a member of corporate America with an MBA from Northwestern, Aleti always planned to be involved in an organization such as Girls Leadership. She attended an all-girls high school and feels girl empowerment at a young age was a transformational experience in both her professional and personal development. “It’s always been something I thought I’d invest in way down the road, but with all the negative conversation happening around the election this last year, I really thought I should pull these plans forward,” Aleti said. In the weeks following the presidential election, Philpot and Aleti got together to brainstorm. Philpot brought up Girls Leadership, and Aleti loved the idea. Next, the women reached out to Girls Leadership New Jersey Outreach Manager Patty Dow. When Dow came across Girls Leadership almost five years ago, she had never heard of it before. She was a life coach and parent educator and had been facilitating “all kinds of things” for close to three decades, so the organization looked like something right up her alley. All of Girls Leadership’s work is based on social and emotional learning and emotional intelligence, and at the crux of that is the organization’s workshop series. “Our core program is a parent and daughter workshop that happens once a week over four weeks. We have four different curriculum levels,” Dow said, breaking down the levels to kindergarten and first grade, second and third grade, fourth and fifth grade, and sixth through eighth grade. Dow explained a unique aspect to the workshops is they include the girls’ primary influencers, whether it is a mother, father, grandparent, teacher or other adult in the child’s life. The workshops use girls’ everyday relationships and experiences to develop leadership skills, so they can adapt them to be leaders in their life. The statistics behind girls’ social and emotional development during youth and teenage years are staggering. According to Dow, girls lose confidence at four and a half times the rate boys do as they approach adolescence. And girls, Dow explained, are 83 percent less likely than boys to describe themselves as brave. “Girls think in order to be brave it means you have to go do something huge and dramatic,” Dow said, “whereas Girls Leadership really hits home the message of bravery in everyday relationships. Communicating authentically takes courage. Being able to ask what you want and need takes courage. Being able to tell someone how you don’t like being treated takes courage. Two workshops are scheduled in Haddonfield. “Parent & Daughter Series: Nine Tools for True Friendship” is for second and third graders and will be held from 6:30 to 8 p.m. on Thursdays, Feb. 23, March 2, 9 and 16 at Elizabeth Haddon School. Registration is underway. “Tools for Sunny & Cloudy Days with Friends” is designed for kindergarteners and first graders and will be held from 9 to 10 a.m. on Saturdays, March 11, 18 and 25 and April 1 at Haddonfield Friends School. Registration will be opening soon for this series. Workshops work best with one adult per child. In the workshop, girls and adults build common skills to do things such as make decisions and resolve conflict in relationships through role playing, games, stories and more. The workshops help girls find their voices. Girls Leadership educators — the facilitators who lead workshops — have varied, impressive backgrounds, Dow said. Most have master’s degrees — in education, counseling, theater, dance — that lends itself to what Girls Leadership does. The application process is rigorous, and the training is in-depth. Each workshop focuses on specific skills they’re building. As a career, Philpot teaches business executives how to be good leaders. Sometimes it’s hard to do that with adults, she said, which shows it’s never too early to start with children. “It quickly becomes too late,” Philpot said, noting the struggles of peer pressure as a child and adolescent. Aleti reflected on a chart she studied from Girls Leadership that illustrated how resiliency starts to decrease for girls in kindergarten. One of the primary ways Girls Leadership workshops come to a community is through requests by parents. Each program has a parent advocate — in Haddonfield’s case, that’s Philpot and Aleti — who wanted to help bring the program to their town. Dow expects Haddonfield to become an active community for Girls Leadership. Aleti agrees. To register for a Haddonfield workshop, visit www.girlsleadership.org. To learn more about Girls Leadership, inquire about more workshops or find out how to become an educator, contact Dow at (866) 744–9102, ext. 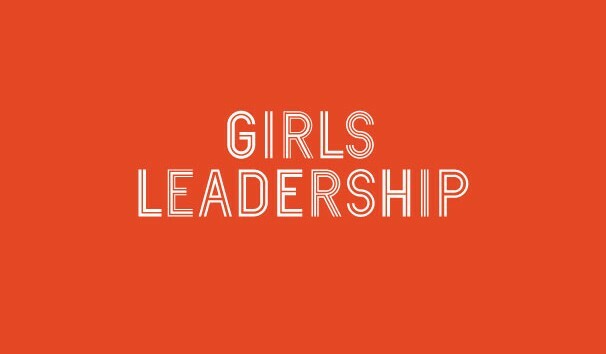 703, or email patty@girlsleadership.org.